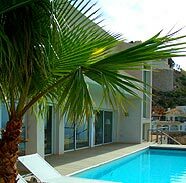 Altea Hills - Villas and Appartment Rentals - Top Altea S.L. TOP ALTEA's office is located in Urbanización Altea Hills (Alicante-Spain), in Calle Heidelberg, 374. If you would like more information about our properties and services, please do not hesitate to call us on +34 966 44 59 35 or +34 677 766 885. We look forward to hearing from you. You can also contact us by e-mail, or using the following form.